5 Days Until Showcase, Are You Ready? Only 5 days until Showcase, are you ready? The Celebration Dance Showcase will be held at Ryerson Theatre on Sunday, April 27 at 4 p.m. Doors will open at 3:30 p.m. For those who have not purchased their tickets yet, you may buy them at the Joy of Dance Reception Desk until Sunday. Tickets are $20 each. 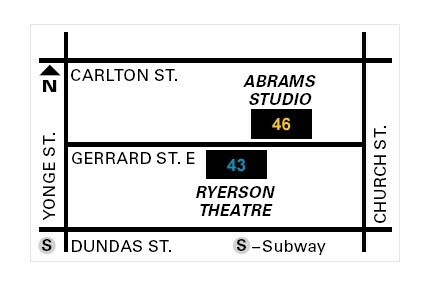 For late ticket purchases, the Box Office will be selling tickets starting at 3 p.m.
Ryerson Theatre is located at 43 Gerrard Street East; just a short walk from College or Dundas subway stations. Ballet Performers: Please note that this term we are sending ballet costumes home this year. Please arrive at the theatre fully dressed in your costume.